Posted on Sunday, February 19, 2012, by Dean "The Machine" Childers. 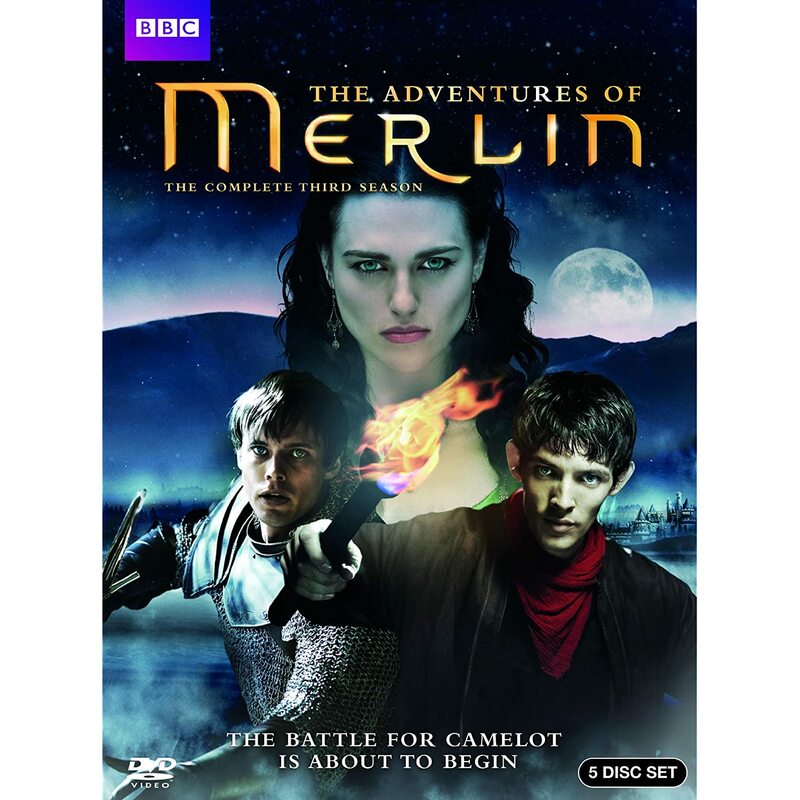 Gaius betrays Merlin in this week's Arthurian adventure. (S0307) I was looking forward to seeing a turning point in this week's Arthurian-styled adventure, but I was disappointed. Instead, the most we got was another ally for Merlin (Colin Morgan) to rely on. It's amazing that a 13 episode season can contain so much padding in its storyline. In any case, Merlin fans will be happy for the developments in this particular story. with Morgana (Katie McGrath) telling Agravaine de bois (Nathaniel Parker) about her encounter with Emrys, who was Merlin in disguise. Fearing their plans have been discovered, Agravaine launches a campaign against Gaius (Richard Wilson) in order to find the identity of Emrys. Thus begins a surprisingly tense story in the series. We are shown some great character moments from Gaius. He can hold his own against torture, but still caves. Most people seeing this would think “Why Gaius?” and in truth, it is a mistake for his character to make. However, characters making mistakes is good drama. Besides, Gaius telling the priest who Emrys actually is winds up inconsequential. There lies the problem. Agravaine and Morgana don't know who the Emrys is despite all of the efforts. It makes the whole plot of the episode feel useless. The only way I see this episode meaning anything is if they have the priest who tortured Gaius return during the main arc. Despite this glaring problem, the story accomplishes what it needs to by (hopefully) setting up the final episodes in the season. It is also nice to see Gaius and Merlin become aware of Agravaine's treachery. So there you have it, another episode of Merlin being as safe as ever with its plot.